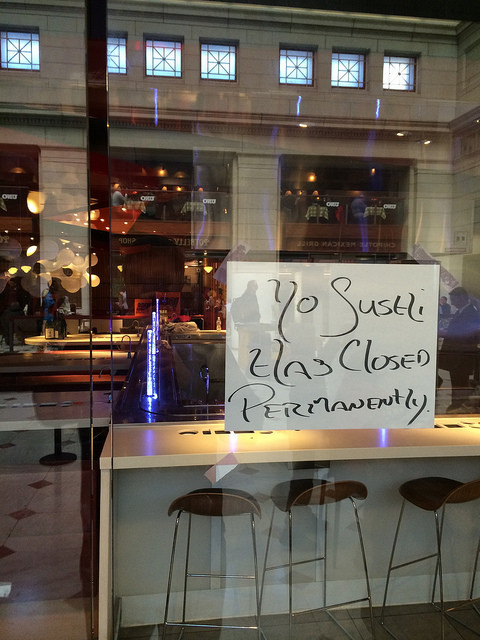 They are closed permanently. I put in a call to Union Station and they say they are closed for good. Yo! 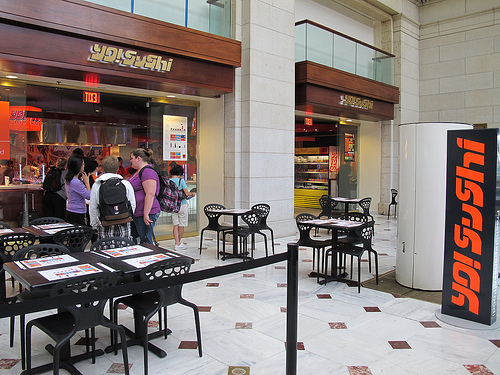 Sushi opened up in Union Station over the summer of 2012. They were also supposed to open a second location at 7th and H St, NW in Chinatown but that deal fell through a while ago. I guess conveyor belt sushi just isn’t our thing.